Started 50 years ago in Sudbury Valley, Massachusetts, this time-tested, cutting-edge model for innovative, student-owned learning is currently utilized in 50 schools in 23 states and 11 countries around the world. The model combines self-directed learning with a democratic school structure. 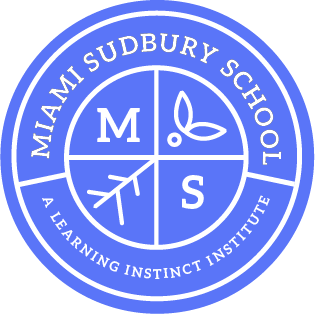 The Miami Sudbury School will be the first of its kind in Miami, FL. To better connect and support efforts in our local area of South Florida and beyond, we are working to establish a resource network for all individuals and institutions who engage in or promote self-directed learning.